I was so excited when I saw this book. It brought my writing full circle. 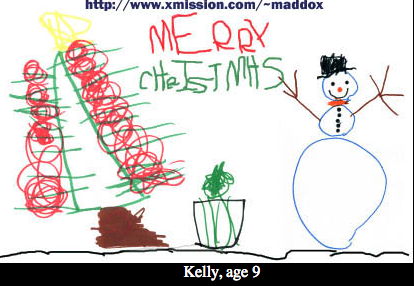 You may have remembered about 10 years ago, when email forwards were still semi-acceptable to send, getting a forward of a bunch of kids 'artwork' and a guy grading them and making fun of them. I thought it was the funniest thing I had ever read and found the person's website who made it. 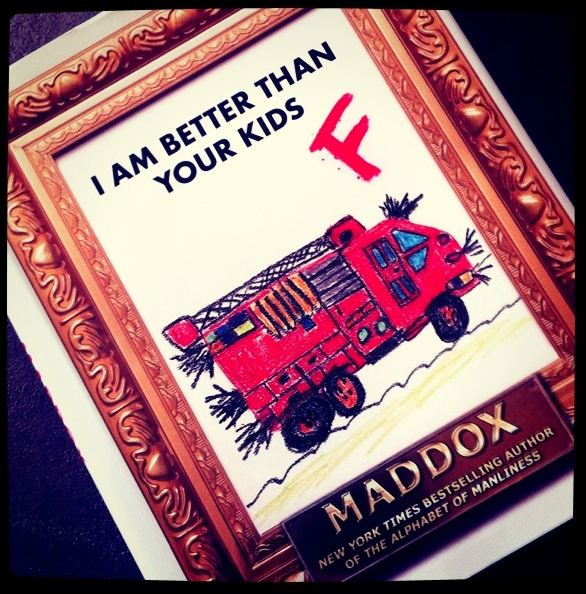 His name is Maddox, and his website is "The Best Page in the Universe," It's pretty dope. Here are some of my favorite posts (here, here and here). Anyways, I can give this dude credit for my tone and writing style...he has a little more of a 'f-ck you' edge than me, but I try. This book takes the post and that infamous email forward to a whole other level. There were the drawings from the original and then added pictures, test answers, photos and paintings. All given an F grade and a reason. I will say that there is only so much you can say about kids drawings since they all seem to look the same after page 75, but I still appreciate the effort.